I’m not a big fan of international bureaucracies. Regular readers know that the Organization for Economic Cooperation and Development is the worst institution from my perspective, followed by the International Monetary Fund. Some folks ask why the United Nations isn’t higher on the list? My answer is simple. The UN has a very statist orientation and it routinely advocates bad policy, but it is too incompetent to do much damage. The OECD and IMF, by contrast, have some capacity to undermine global growth by encouraging more statism. That being said, the UN occasionally does something that is so obnoxious that I can’t resist commenting. Especially since my tax dollars pay a big share of that bureaucracy’s bloated budget. What has me irked is that the United Nations Conference on Trade and Development just released its annual Trade and Development Report. You would think an institution that focuses on trade and development would be advocating free markets and small government. 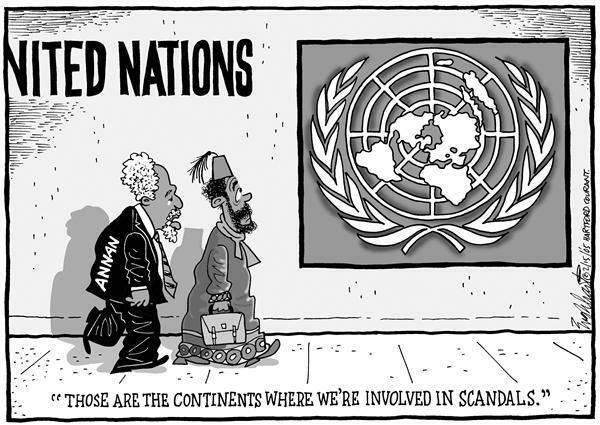 But UNCTAD takes the opposite approach. Here’s how the bureaucrats frame the issue in the report. Keep in mind that “market liberalism” is their term for free markets (in other words, classical liberalism). Back in 1964, the international community recognized that “If privilege, extremes of wealth and poverty, and social injustice persist, then the goal of development is lost”. Yet, almost everywhere in recent years, the spread of market liberalism has coincided with highly unequal patterns of income and wealth distribution. A world where its 85 wealthiest citizens own more than its bottom three and a half billion was not the one envisaged 50 years ago. …the past three decades have demonstrated that delivery is unlikely with a one-size-fits-all approach to economic policy that cedes more and more space to the profitable ambitions of global firms and market forces. …the moment is right to propose another international “New Deal” that can realize the promise of “prosperity for all”. But not only does UNCTAD utilize class-warfare rhetoric, they also try to support their ideological agenda with historical illiteracy. I’ve pointed out that the western world became rich when government was very small and markets were liberated. But the statists at the UN want us to think that big government deserves the credit. None of today’s developed countries depended on market forces for their structural transformation and its attendant higher levels of employment, productivity and per capita incomes. Rather, they adopted country-specific measures to manage those forces, harnessing their creative side to build productive capacities and provide opportunities for dynamic firms and entrepreneurs, while guiding them in a more socially desired direction. They also used different forms of government action to mitigate the destructive tendencies of those same market forces. This approach of managing the market, not idolizing it, was repeated by the most rapidly growing emerging market economies − from the small social democratic economies of Northern Europe to the giant economies of East Asia − in the decades following the end of the Second World War. Wow. They even want us to think big government deserves the credit for prosperity in Hong Kong and Singapore. So you know the bureaucrats are either very stupid or very dishonest. I suspect the latter, but it doesn’t matter. All we need to know is that they are willing to make very preposterous claims to advance their agenda. And what is their agenda? Well, a major theme is that politicians in developing nations need “policy space” to enable bigger government. For instance, UNCTAD doesn’t like free trade but does like industrial policy (aka, crony capitalism). Policy space is…reduced by free trade agreements… Along with the proliferation of trade agreements and their expansion into trade-related areas, there has been a global revival of interest in industrial policy. But a big focus of the report is that tax competition is a threat to the “policy space” of politicians. Fiscal space goes hand in hand with policy space. …strengthening government revenues is key. …This…allows for higher growth-enhancing public spending… The need for reclaiming and expanding fiscal space faces particular challenges in an increasingly globalizing economy. …A major problem is that globalization has affected the ability of governments to mobilize domestic revenues. …the increased mobility of capital and its greater use of fiscal havens have considerably altered the conditions for taxing income − both personal and corporate − and wealth. The dominant agenda of market liberalism has led to a globalized economy that encourages tax competition among countries, at times pushing them to a “race to the bottom”. Gasp, how horrible! Politicians don’t have as much “policy space” to impose punitive taxes. That’s the best advertisement for tax competition I’ve ever read, even if it is unintentional. So what do the UN bureaucrats want to solve this supposed problem? Simple, just destroy financial privacy and fiscal sovereignty so that politicians have carte blanche to expand taxes. …a number of developments aimed at improving transparency and exchange of information for tax purposes have taken place. They include a declaration by G20 leaders to promote information sharing… an OECD Action Plan on base erosion and Profit Shifting (BEPS), increased monitoring by several national tax authorities…and numerous bilateral tax treaties (BTTs) and tax information exchange agreements (TIEAs). …these initiatives are steps in the right direction. With BEPS, indiscriminate information sharing, and more power for national tax police, UNCTAD has put together a trifecta of bad policies. And to add insult to injury, all the bureaucrats at the UN get tax-free salaries while they concoct schemes to enable higher taxes on the rest of us. Geesh, no wonder I sometimes have perverse fantasies about them. And I’m very grateful that Senator Rand Paul is leading the fight against their evil ideas. P.S. 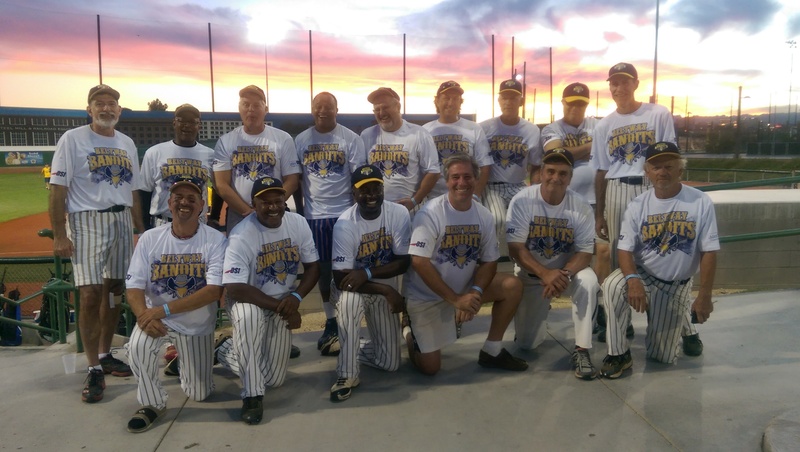 On a more pleasant topic, the “Beltway Bandits” just played in the softball world series in Las Vegas. We competed in the 55+ grouping and finished with three wins and two losses. Not bad, but not good enough to win any trophies. But we got to play in replica Major League stadiums, which was a fun experience. I can now say I’ve hit home runs in Dodger Stadium and Wrigley Field, and also doubled off the Green Monster at Fenway. Sounds impressive so long as nobody asks any follow-up questions! P.P.S. Here’s something else that I found amusing. Bill Clinton not only understands the inversion issue, but he’s also willing to publicly explain why Obama is wrong. But I guess we shouldn’t be surprised. This isn’t the first time he’s had sensible things to say on the issue of corporate taxation. Tax exemptions for members of the international bureaucracy is an extension and support of an historically endowed privilege class. But tax exemptions are a small part of the workings of a crony government bureaucracy. Many receive housing allowances, e.g., the U.S. foreign service does, that is likely a comfortable 30 percent plus increase over their base income when in their home countries. Many receive vouchers for the education of their children, extending into university tuition, etc. They also may be exempt from local taxation, including sales taxes. Some claim exemption from parking tickets. Then there are increases in pay for serving in ‘hardship’ posts. I understand that the U.S. used to be considered a hardship post by the British government – malarial early on, and expensive later. Maybe pay for international servants should just be paid by their governments, sans additional privileges. At least that would take the pay and employment issue out of the hands of a self-serving workforce. a)	In Hong Kong, you will still work for “The People” about 20% of your time. So, you work for yourself and your family from 9:00am to 3:24pm and then from 3:24pm to 5:00pm you will work for the People of Hong Kong. Or, you work for yourself and your family every year from January 1st to October 20, then from October 20 to the end of the year for The People of Hong Kong. But you are not free to say whatever you want in public. b)	In France you are free to say what you want in public, but you work for the People 55% of your time. So, you work for yourself and your family from 9:00am to 12:36pm and then from 2:36 to 5:00pm for the People of France and their government apparatus. Or, you work for yourself and your family every year from January 1st to June 14 (irony it’s Bastille day! The day of your enslavement – perhaps it’s just pitchfork day? ), then from June 14 to the end of the year you work for The People of France. This happens day in, day out, and year after year throughout your life. Where would you feel freer ? As you work day in day out those additional 128 days you must at least wonder whether your brethren in Hong Kong might perhaps be freer after all. Which brings me back to my warning to voter-lemmings: Just as democracies evolve, so do dictatorships in today’s environment. If western world democracies engage in class warfare, flatter effort-reward curves and thus stagnate in sub-par world growth rate, then, at some point they will have to confront something a lot more sinister. I’m not endorsing totalitarian regimes in any way. I’m just worried that voter-lemmings will commit suicide. Obviously the totalitarian regimes that engage both in freedom oppression and class warfare (e.g. North Korea, Venezuela) will fare the worst. But what about France versus Dubai? P.P.S. Is this the plan to remain the most prosperous and powerful nation in the world? It will work,…for sure. That is why very few developed democracies will escape decline (no not absolute decline, slow growth will continue, but faster growing jurisdictions will sink the once privileged western world Voter-lemmings into the worldwide average). To escape, the voters of a country will not only have to reject class warfare (something few electorates will muster, because “a redistribution dollar today is worth five perpetually compounding growth dollars in the future”). The voters of the escaping western democracy would also have to make the risky calculation that the benefits of flouting the international bureaucracies outweigh the effects of likely retribution. Hence few will escape — and wise people who are looking after their descendants will be on the lookout for early signs of democracies that are most likely to avoid the bureaucracy sanctioned declines.